Opinions of this Indian Dish vary. Some call it a taste explosion. And those that come to Lehja in Glen Allen call it delicious. 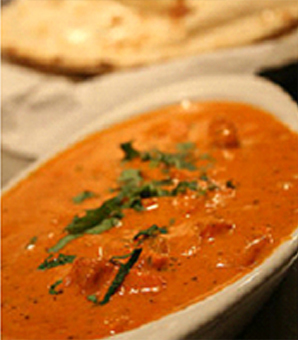 Regardless, Tikka Masala is a sauce that is used for making chicken tikka masala dish. The masala sauce is a combination of yogurt, cream, tomate, onion, pepper, and coconut. The combination of these basic seasonings and unique Lehja spices is what gives one the creamy tangy spicy orange sauce that is so popular. Come find out yourself why Lehja’s Tikka Masala is so popular.Be warned, one bite and you will want it again. We are located in the Glen Allen section of Richmond in Short Pump Mall.